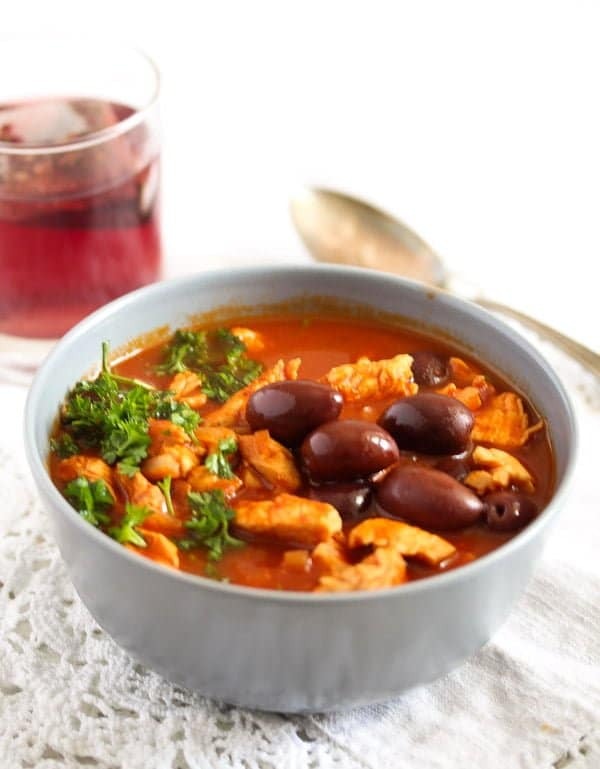 An incredibly aromatic Moroccan Chicken Stew, chicken breast pieces and black olives in a spicy tomato sauce, this stew can become a family favorite. 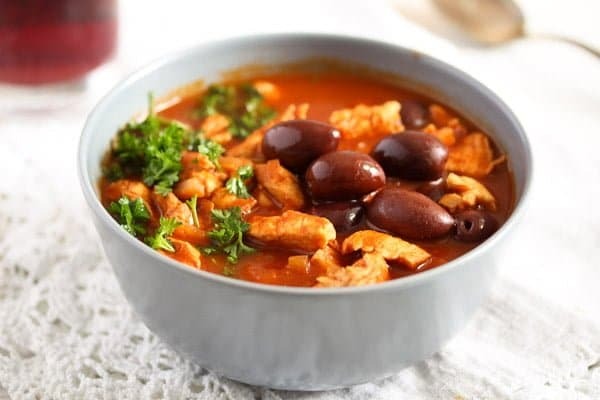 This recipe for Chicken Stew with Olives and Tomatoes was born from the need of using up some chicken breast scraps leftover after properly slicing the chicken breasts to make some delicious chicken breast rolls. Those rolls had to be finely and thinly cut, so I end up having lots of bits and ends leftover. I first thought about making a chicken stock with those leftovers, but after all, chicken breast is not really the kind of meat you use to make stocks. Freezing scraps of meat didn’t seem like a good idea either, so I thought about making a quick stew that we could eat reheated the following day. 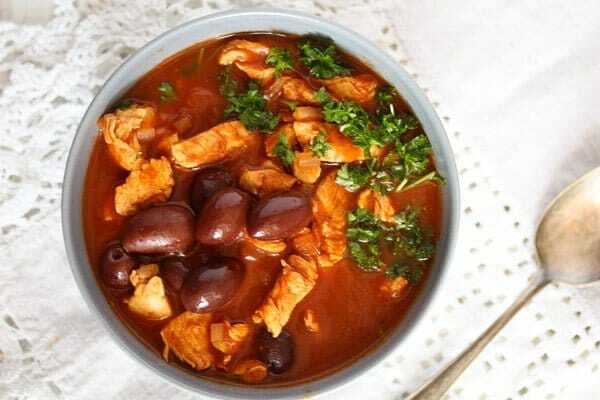 End of story, those chicken rolls, although very good, didn’t make it on the blog, but this chicken stew with olives did. It was amazing! So much flavor! 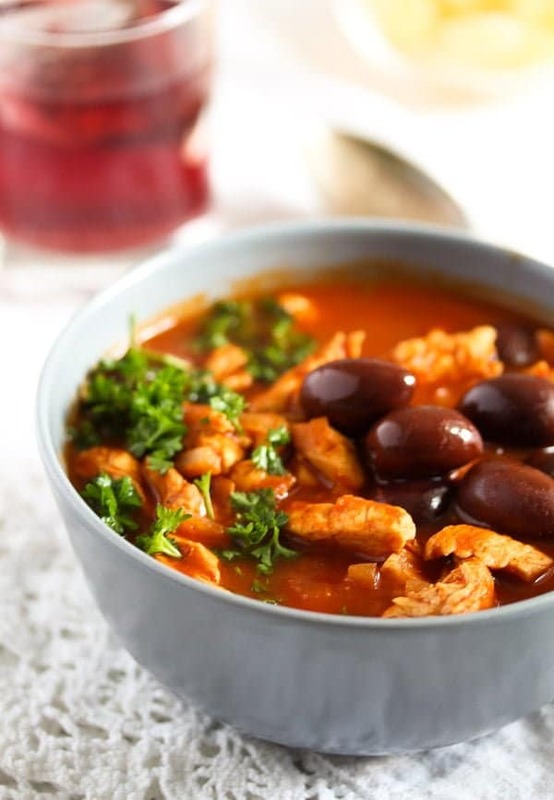 And those olives, I have put olives in another incredible vegan olive and leek stew before, and after having them in this Chicken Stew with Olives and Tomatoes, makes me think I should use olives in my cooking more often. We do love olives, the black, wrinkly, rather bitter ones we get in the Turkish stores around here Auzoud Oil-Cured Black Olives, Whole, Supports North African Women Farmers, 100% Natural, Hand-Picked, 4.4 lb. 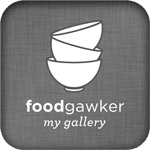 , I always have a full jar of them in the fridge and my daughter and I eat them with a passion, but I rarely use them in a cooked dish before. That will change! This is not an authentic Moroccan recipe, meaning that I did not follow any specific recipe from a book or a blog. 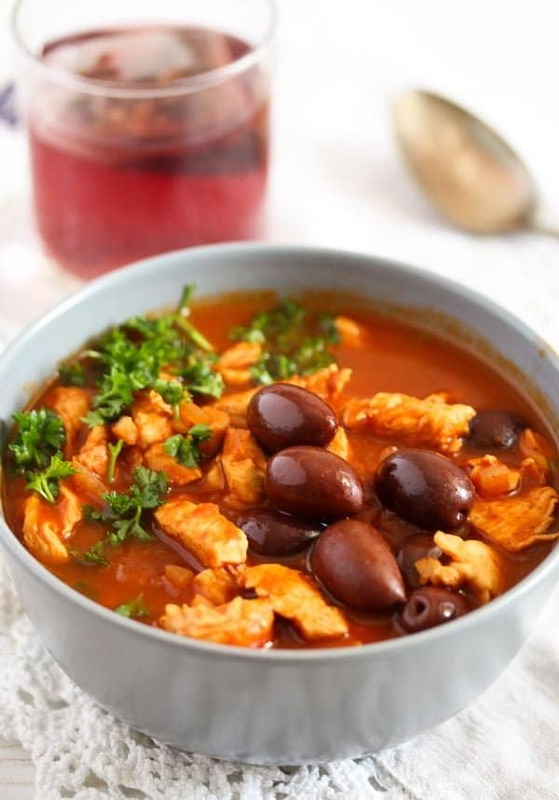 But I combined ingredients commonly used when making a Moroccan chicken and olive tajine and used typical spices used when cooking Moroccan food.
. The name of this spice mixture means translated from Arabic “head of the shop”, and that means again a mixture featuring the best spices that shop has to offer. Ras-el-hanout is usually associated with Moroccan cooking although many of the North-African countries use it in their cooking. There are a lot of ras-el-hanout combinations out there, every shop and every family seems to have their own recipe for it. I have been using ras-el-hanout in my cooking for many years and I really did notice myself that different brands of this spice taste different, some I liked more than the other. The blend I happen to have now (not the one linked above, but a sort I bought in Germany) is one I bought in an online spice shop together with some other spices that are not so easily available. It contains a special sort of pepper – piper cubeba (never heard of it otherwise) and several other pepper sorts like long pepper, black pepper, monk’s pepper. Then it also contains coriander, ginger, cumin, cardamom, fennel seeds, turmeric, nutmeg, galgant, cloves, cinnamon and bay leaves. Its aroma is amazing, it makes you just open the jar now and then and sniff on it. I can definitely recognize the cinnamon, cloves and cardamom when doing that, but there is so much more as well. You should definitely give ras-el-hanout a try, it is a wonderful spice mix to have in your cupboard. And don’t worry about only having to cook something Moroccan or North-African with it, I use it for so many other kind of dishes. I love to use it for soups, autumn or winter kind of soups, I feel that ras-el-hanout increases the comfort feeling this kind of soups already have. Try it in a pumpkin soup, any kind of soup using chickpeas or beans, either beef soup or a vegetarian kind. I used it to rub chicken breasts or drumsticks with it (mixed with a little olive oil), I sprinkle it on oven roasted potatoes or sweet potatoes, I put it in sweet potato, pumpkin or chickpea salads and I used small amounts of ras-el-hanout to flavor hummus or other bread spreads. Experiment with it, I am sure you would like it. When it comes to olives, 95% of the times I buy and eat olives that still have their pit. I only buy pitted and filled olives, if I happen to want to decorate something with olive slices. If you ask me, there is no comparison between olives with their pit in and pitted olives. Pitted olives have lost most of their flavor, often have a squeaky consistency, I really see no point in eating them, they look like olives, but they don’t taste like olives are supposed to taste. I usually buy the vacuumed Auzoud Oil-Cured Black Olives, Whole, Supports North African Women Farmers, 100% Natural, Hand-Picked, 4.4 lb. or canned black olives available in the Turkish/Middle Eastern stores. If you cannot get them, use another good brand of black olives which still have their pit in. Don’t forget about the pits when eating the stew and warn the other people at the table about them as well. Typically with couscous, but bulgur is also fine. Crusty white bread or flatbread would be great as well. Otherwise, for a more Europenized version, try the chicken stew with boiled or mashed potatoes, with rice or with pasta. We had a green salad with cucumbers and tomatoes together with the Moroccan chicken stew, dressed with olive oil and red wine vinegar. 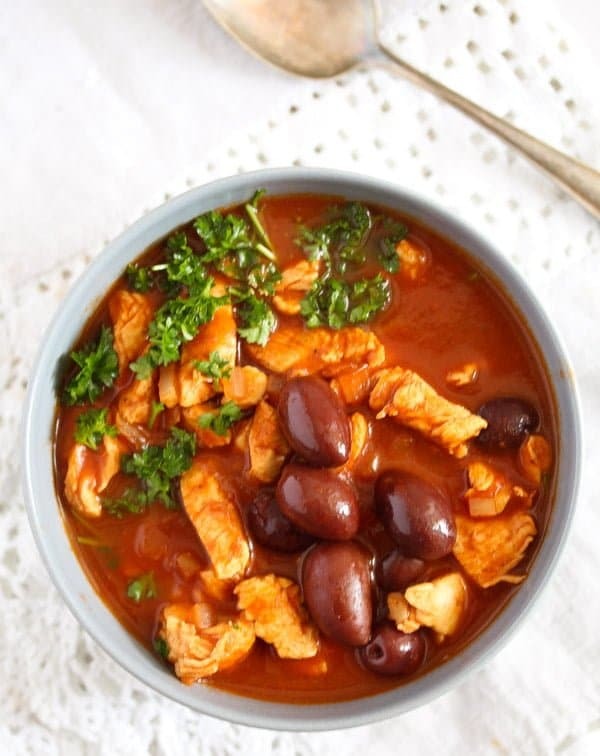 This Moroccan chicken stew can be easily reheated. Another bonus is that it is so quick to make. A very little amount of chopping and less than 30 minutes cooking time, a perfect dinner to cook on a busy day. Cut the chicken breast into stripes and set aside. Finely chop the onion. Heat the olive oil in a Dutch oven or another heavy bottom pan and cook the onion until translucent and soft, about 4-5 minutes, while stirring several times in between. Add the finely chopped garlic cloves, ras-el-hanout, ginger, cinnamon, pepper and salt. Cook until fragrant, stirring, for 1 more minute. Add the chicken stripes and turn well to coat with the spice mixture. Add the tomato puree and the vegetable or chicken broth. Cook for about 5-6 minutes, uncovered. 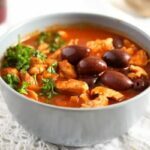 Add the olives and continue cooking for another 3 – 4 minutes, without a lid, until the chicken is tender and cooked through. Adjust the taste with salt and pepper, if necessary, and serve as suggested above. This sounds like a dish I had in a restaurant many years ago and can still remember the intense flavors and aroma. I can just smell it again looking at your pictures. Thanks for posting this because I will be making it once the weather starts to cool off again.